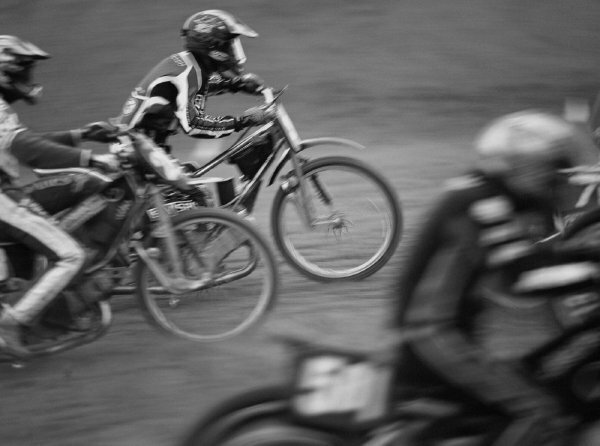 April 2007: Grasstrack racing on a local field. Lots of noise, lots of fun. Over a bit soon, though - a full days racing might have you ride for a total of twenty minutes. Ffotographica.com - All images are copyright of Jasper Fforde and Mari Fforde 2007, unless otherwise credited.